A Tom Sawyer Companion (University Press of America, 1993) is the perfect book for anyone who teaches The Adventures of Tom Sawyer. Using material from Twain’s autobiography, letters, and sketches, the book explorers Mark Twain’s adventurous boyhood on the banks of the Mississippi River. Many of his escapades in the sleepy village of Hannibal surfaced on the pages of Tom Sawyer. In his introduction to Tom Sawyer, Twain wrote “Most of the adventures recorded in this book really occurred: one or two were experiences of my own, the rest those of boys who were schoolmates of mine.” Like most authors, Twain drew upon his personal experience for his fiction, but unlike many writers,he left behind a wealth of autobiographical material recording those experiences. 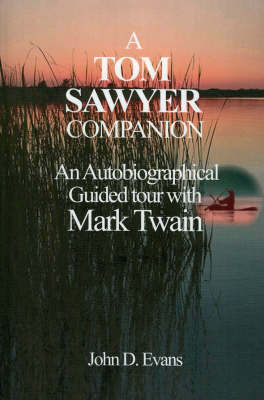 The “guided tour” takes the reader through The Adventures of Tom Sawyer chapter by chapter, scene by scene, and uses Twain’s own words to reveal the fact behind the fiction. His letters, notebooks, and speeches contain many references to events similar to those found in Tom Sawyer. When the book was published in 1876, Twain’s neighbors had no trouble recognizing St. Petersburg as their own thinly disguised village of Hannibal. The townspeople were quick to point out who among them where portrayed in the pages. Tom Blankenship, son of the town drunk, was easily recognized as the carefree Huckleberry Finn, and Laura Hawkins became a minor celebrity as the model for Becky Thatcher. Rich with archival photographs, A Tom Sayer Companion reconstructs Twain’s boyhood and places it in the context of Tom Saywer. To see a sample click here.